This language arts poster is one of a set of 12 posters that explain the different forms of poetry. 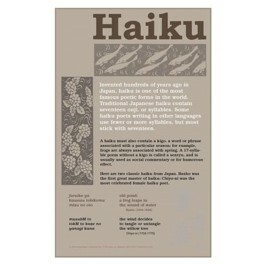 This poster explains what a haiku is along with other background information about haiku. It also provides some important terminology related to haiku, like kigo, onji, and senryu. 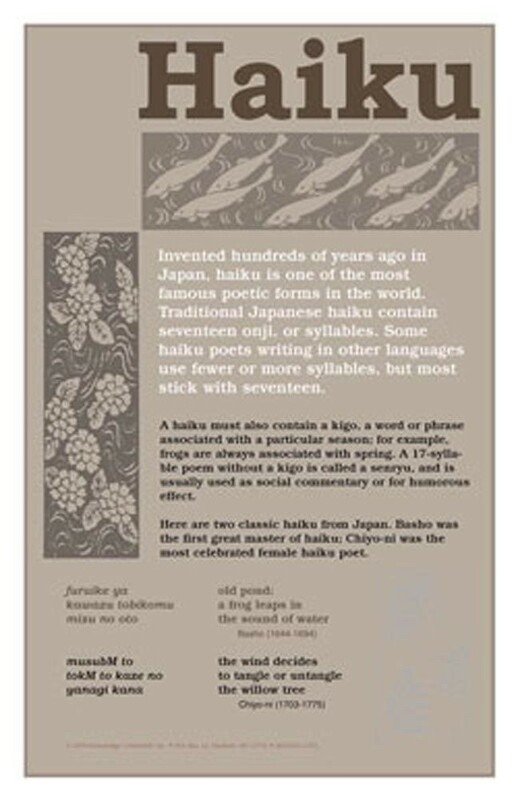 The poster features two examples of classic Haiku from Japan -- one by Basho, the first great master of haiku; the other by Chiyo-ni, the most celebrated female haiku poet.